Why the simple act of lighting a candle reminds us to be kind and grateful to all that surrounds us. The true message of Diwali or Deepavali celebrations goes beyond the fireworks, food, and decoration of the festivity. For me, this festival is a reminder of how important it is to practice self-care, gratitude, patience and ultimately to on your own light. “As we let our own lights shine, we unconsciously give other people permission to do the same.” – Marianne Williamson. 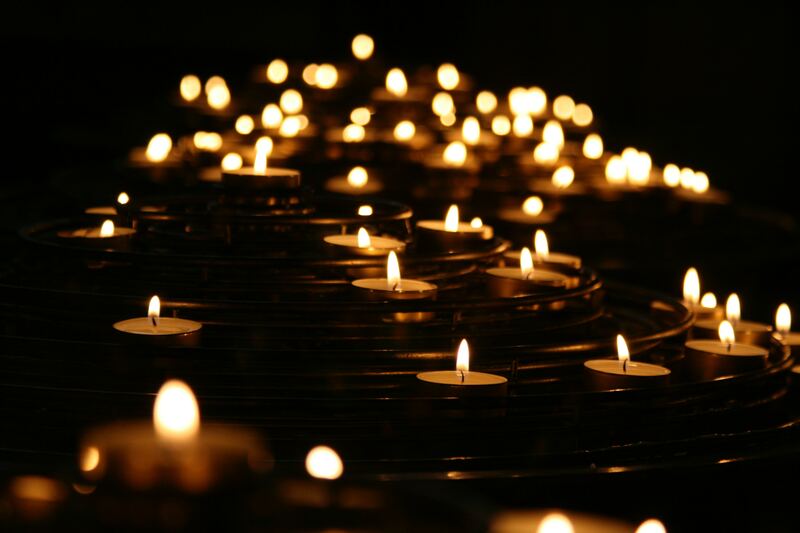 The simple gesture of lighting a candle makes me focus on the inner light and being a good person. I truly believe we are connected, whether we chose to embrace this or be totally oblivious to it. We all have the same universal goal – to be loved and to give love. This is my Dad’s mantra, and the older I have got, I am beginning to understand how powerful this quote is. Have you ever asked experienced a situation, where you receive food, a gift or even a hug where it genuinely fills you up inside? That is because the giver has given from the heart and not the head. If this mantra can be applied to the smallest act of making a cup of tea or serving food to family and friends, then we should strive to spread joy in our daily lives to all around us. We are always searching for answers from the outside world and but rarely do we look within our own self. We can’t change anyone, but ourselves. It’s about taking the small steps and enjoying the journey. These 7 simple steps can be implemented by anyone, any age, at any time. If you feel stuck in a rut and want to make a positive change in your life, then only you can make that change. Begin with the small things, that will have a huge impact not just on you, but all that surrounds you. 1. Always Give From Your Heart – Be kind to all around you and always give from your heart. 2. Stay True To You and Your Vision – You may find not everyone is going to understand or agree with your decisions. That is fine, they don’t need to. As long as you are authentic and yourself, your vision doesn’t need reassurance or judgment. 3. Every Action Has A Reaction – Think before you speak, type that text message or send that email. Words are powerful, so be mindful with the choice of words. 4. Value Your Time and Who You Spend It With – Life is so short, so why fill it with negativity? We are here for a short time. Spend time with people who genuinely care about you and your well-being. 5. Connect to The Most Meaningful – Whether that be a small daily ritual of meditating, reading a book, lighting incense or going for a run. Try to switch off from the outside world and really focus on spending time connecting with whatever elevates you spiritually and evolves inner growth – even if it’s for 5 minutes of the day. 6. Practice Humility and Stay Humble – Is not thinking less of yourself. Humility is thinking about yourself less. 7. Be Grateful – For the countless blessings of yesterday, today and tomorrow. Keeping a gratitude journal is a great way to remind and rediscover things you are grateful for. Acknowledge all the goodness in your life and give thanks to the ultimate. Remember everything is a blessing or a lesson and every single time you take a breath is a gift. Interested in spirituality, self-care, and lifestyle.